AudioQuest DragonTail USB Extender makes connectivity easier! The Audioquest Carbon Fiber record brush is a must have for any vinyl loving audiophile! Audioquest Forest USB cable really make a difference! Improve the sound from your computer with this amazing product. One of the least expensive upgrades you will find! The DragonFly Red from Audioquest is an awesome USB DAC and headphone amp for under $200! The AudioQuest PowerQuest2 is an ideal upgrade for your AV system! 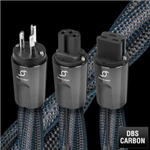 Our demo NRG-4 power cable 6 ft length. Nice cable! 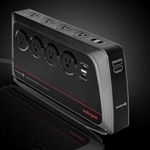 The Audioquest PowerQuest 3 offers and 8 outlet conditioner and surge protection! AudioQuest NightHawk Semi Open Headphone for fine mid price listening! Audioquest delivers a great high current power cable that doesn't break the bank! Audioquest Tornado Power Cable is ideal for use with power conditioners, power amps or anything that needs high current! 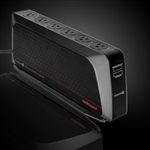 The New Audioquest Niagara 1200 power conditioner improves the sound of your audiophile system! The Audioquest Hurricane Source Power Cable is ideal for use with your high end stereo source components. 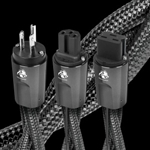 The Audioquest Hurricane represents their top power cable in their Storm series. 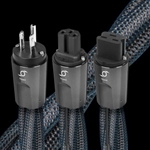 A seriously good power cable for high current use! The Niagara 5000 is a fantastic way to get the most from your high end electronics! 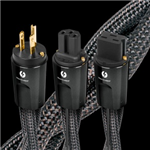 The Audioquest Dragon Source Power Cable is ideal for use with your high end source equipment! 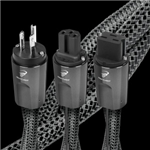 The Audioquest Dragon High Current Power Cable is ideal for power conditioners and power distribution boxes, power amplifiers, inytegrated amplifiers, powered speakers and powered sub woofers! Premium power conditoning from Audioquest - the 7000 rocks! Contact us now for expert advice on the best components for your audiophile system! © Copyright 20165 High End Systems. All Rights Reserved.